After eight years, more than $2.3 billion in funding, and astronomical hype, Magic Leap is finally shipping its first augmented reality headset. But only a few people will get one. The Magic Leap One, Creator Edition will cost $2,295 and may disappoint anyone expecting the seamless blend of computer graphics and reality shown in the company's promotional videos. That's because the Creator Edition is an early version created specifically for software developers, not consumers. The rig includes a set of black goggles with translucent lenses, a disk-shaped computer, and a hand-held controller. It's available only in a few cities, including New York, San Francisco, Los Angles and Seattle, and will be hand-delivered by someone who will help set it up. Think of it as an elite Geek Squad. The system creates an altered, or augmented, version of the space around them, rather than the immersive computer-generated world of virtual reality headsets. The glasses project light into your eyes, creating the illusion of 3D objects inches or feet away. An early demo video showed a user holding a tiny (virtual) elephant in the palm of their (real) hand. The relatively small number of people who have tried it say the the technology excels at seamlessly combining the computer images with real-world settings. Yet Magic Leap remains one of the most secretive tech companies in the United States. It has been very selective about who experiences its technology, preferring to release slick videos of what its "Magicverse" could look like. Technical details about how its "light field" technology works have also been in short supply. The company found itself with a $6 billion valuation, near mythical expectations, and, for the longest time, nothing to ship. "It feels like a pressure valve has been opened," said Stephanie Llamas, vice president of strategy at Super Data Research. "There are certainly concerns that the company is over-valued, but part of that sentiment comes from a resentment over their secrecy and early (misleading) marketing." The Magic Leap One's specs are similar to those of Hololens, the augmented reality glasses Microsoft unveiled in 2015, says Brian Blau, a VR and AR analyst at Garnter. That leads him to believe it remains far less than what Magic Leap has been promising. "When you compare them from a spec standpoint, all the billions that Magic Leap has taken in, all the fake videos they ever produced, all the hype they've generated is the equivalent to [Hololens]," Blau said. "They worked for four years and took a lot of money to build a somewhat inferior product to what the market is expecting today." Still, he thinks the company can succeed, especially as the price comes down. Although $2,295 seems like a lot, it's comparable to what Microsoft charged for early HoloLens developer hardware. As for the Magic Leap hardware, Blau expects that to improve too. The Creator Edition is but the first step toward Magic Leap founder Rony Abovitz's vision. That's also true of virtual reality headsets, which fully immerse the wearer in a virtual world and have not lived fully up to their own hype. 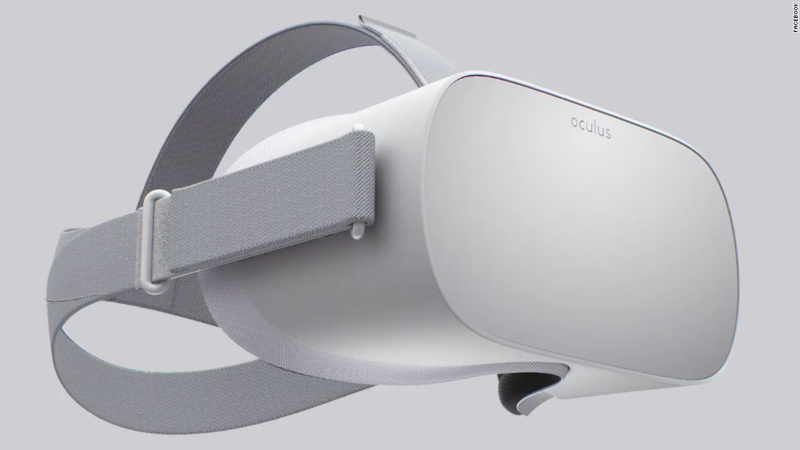 Although consumer VR devices from Microsoft, HTC, and Facebook's Oculus are much more affordable at $200 to $800, they have not taken over living rooms as hoped. Shipments for commercially available AR and VR headsets dropped 30% over the past year, according to IDC. Augmented reality devices, which show your surroundings and overlay virtual screens or objects, are going after a different market. The companies making them see killer applications in the business sector, where, say, factory workers or field technicians would have immediate access to information overlaid on their surroundings. Blau said venture capital investment has shifted away from VR headsets and content toward more business applications. Early hands-on reports seem impressed with the potential of the technology, if not blown away by its current state. Hopefully that excitement can tide Magic Leap over until its next big release, and the ones after that. "What they're striving for is a pretty good idea and will eventually live up to the visions, but that vision is many, many years in the future," Blau said.